Happy Happy Happy Saturday!!! This chick is sure glad it's the weekend...how about you??? 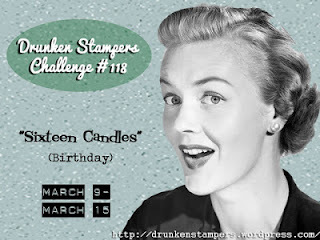 This week's movie themed Drunken Stampers challenge is Sixteen Candles...one of my all time favourite movies!! I will always be an 80's girl and love love love John Hughes movies!! 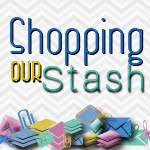 Be sure to visit the DRUNKEN STAMPERS BLOG for all the details on this challenge and to show the Bahama Mamas some crafty love!! 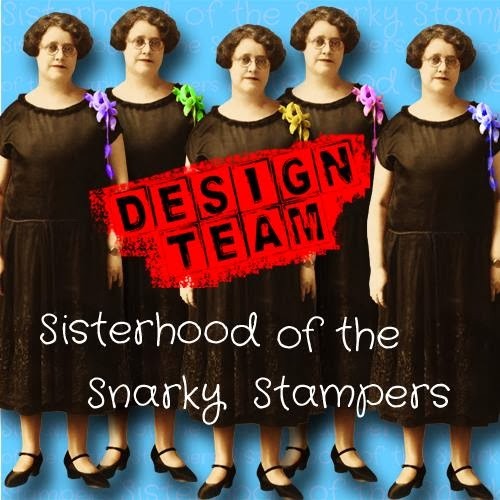 You have until Friday March 15th to enter your card using the InLinkz tool on the Drunken Stampers blog...who knows, you could be our next Life of the Party!!! One of my favourite parts in Sixteen Candles is when exchange student Long Duk Dong hangs upside down on the bunk bed and says to Samantha (Molly Ringwald's character) "What's happenin' hot stuff?" CLASSIC!! Um, I totally had neon in the 80's. :) Cool card! Remember Hypercolor shirts? Hey everybody, my armpits are toasty so they're a different colour! 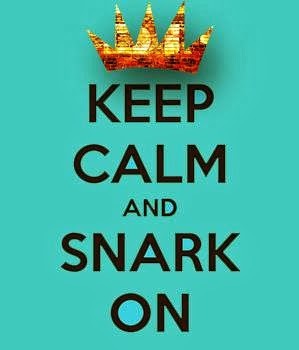 I would so totally wear this tshirt now!! Love your card Donna! You ROCKED the challenge!! !